I could have flown to Versailles in search of an opulent top to match this gold brocade skirt, but living close to the sea I turned to my mermaid friends, who opened their closet to me. 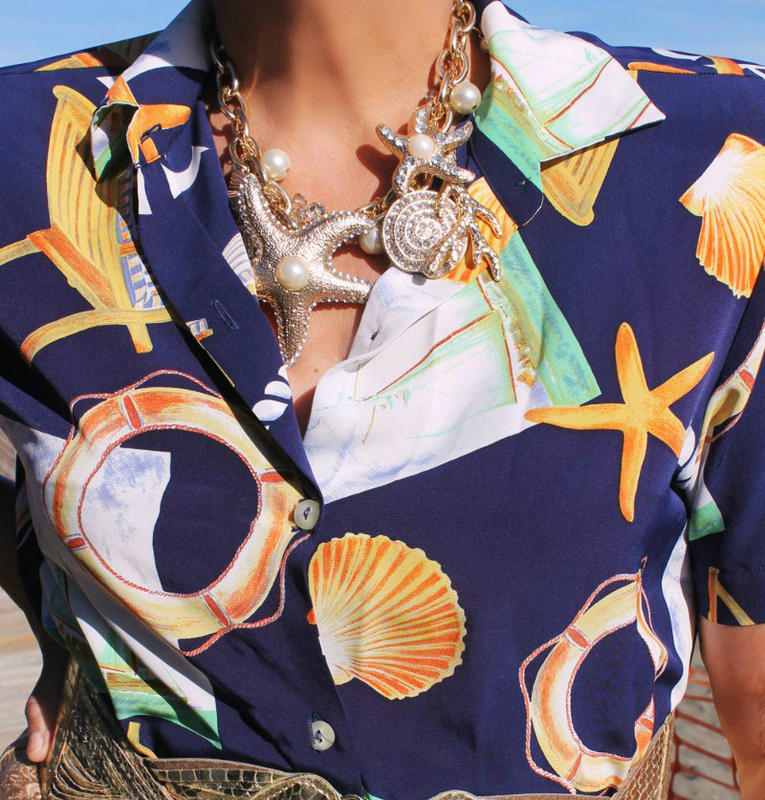 They all approved of my choice of the sailor print blouse and golden shells necklace. 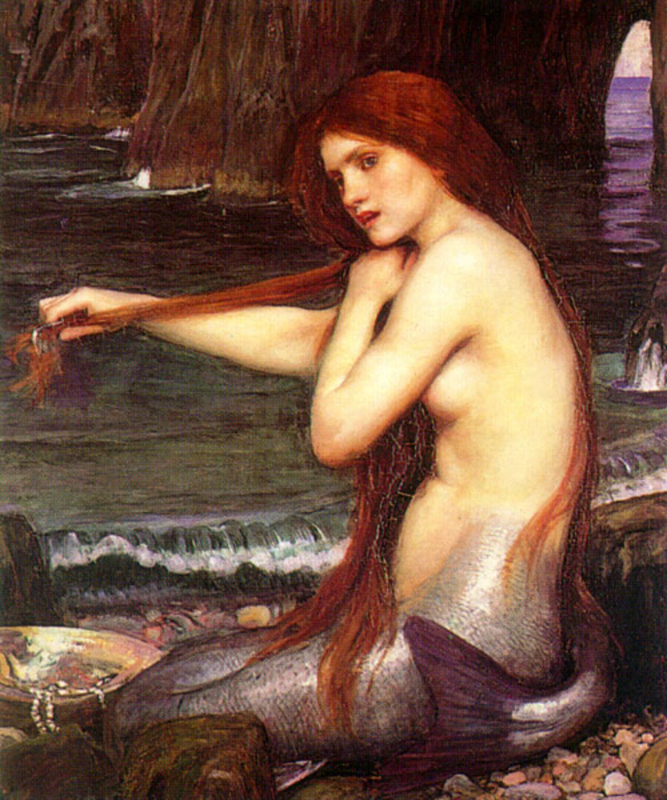 Podría haber volado a Versalles buscando un opulento top para combinar esta falda de brocado, pero viviendo junto al mar acudí a mis amigas las sirenas que me abrieron su armario. Todas estuvieron de acuerdo en mi elección de la blusa de estampado marinero y el collar de conchas. Those shoes, the mermaid-ness of the whole look. The colour of your skin with the skirt. I tried the skirt with something more dressy and I looked like I was going to a wedding, hahahhaa, so I went for a casual sailor touch and the mermaid just follow. We have to add magic to our lives, don´t we? La falda es preciosa, pero sobre todo, lo que más me ha gustado ha sido los zapatos! Te queda todo muy bien!!! 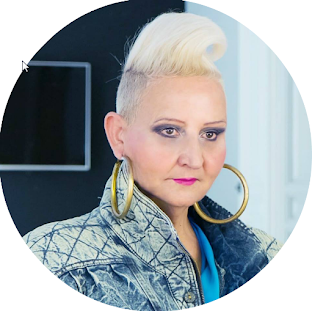 Gracias Moni, quería conseguir un look casual con la falda que es una pura fiesta. Estás fantástica y muy veraniega! Lovely! Fabulous shoes and the gorgeously opulent skirt contrasted with the cheeky marine top. So spot on, my dear friend, you have such a good eye. I just love the necklace! ...and the combination of brocade and marine top - well combined. You look wonderful! Very well done. I love the shoes with the blouse and the shell necklace with the blouse and the skirt. A wonderful styling job. absolutely stunning combo!! !, love all those starfishes and shells, love how your fab background enhances the whole outfit!, and love that brocade shiny skirt and amazing shoes, which match your blouse so nicely!! I have a gold skirt that reminds me of yours!! What a great idea to go with a mermaid theme with it! !